According to the World Wide Web Consortium, or W3C (more about the W3C below), web accessibility, or website accessibility, is a practice of removing barriers so people with disabilities can “perceive, understand, navigate, and interact with the web”. When websites are designed and developed with accessibility in mind, all visitors have equal access to, and can engage with, a site. Why Does Website Accessibility Matter? In recent years, the web accessibility compliance landscape has become increasingly regulated, resulting in many companies finding themselves in the midst of, or planning, a major digital re-haul. But where does that leave people with disabilities? Much like their peers without disabilities, they want to engage and interact with organizations in the digital world. In fact, in certain industries, like travel, studies have shown that people with disabilities rely on websites even more than travelers without disabilities to get information about trips they’re looking to take. Websites that aren’t accessible are a huge barrier for people with disabilities, creating an overwhelmingly frustrating experience. How is the World Making the Web Accessible? It truly has become a global effort to make the web a fully accessible place to visit, thanks in part to the World Wide Web Consortium.2 The W3C is made up of staff, volunteers and member organizations from all over the world who collaborate to develop standards and protocols for the web. One of the W3C’s areas of focus is accessibility. This international community recognizes that if the Internet is to continue to grow and flourish, it is critically important that it be accessible to all. Thus, the W3C Web Accessibility Initiative (WAI) specifically works on guidelines and other materials to support web accessibility, linking together anyone with an interest – including disability groups, government and businesses. The WAI has made great strides over the years. Currently, the WAI’s Web Content Accessibility Guidelines (WCAG), first published in 1999 and updated in 2008, is the most widely accepted set of web accessibility guidelines in the world. Content. This is the information in a web page or web application. It includes “natural” information such as text, images, and sounds, as well as code or markup that defines the structure, presentation, etc. Assistive technology. This includes assistive devices and software programs that people with disabilities use to access a computer, tablet or smartphone. Examples are screen readers, alternative keyboards, switches and scanning software. Users’ knowledge. Individuals have varying levels of experience and comfort when they go online. Individuals with disabilities may also have developed their own adaptive strategies for using the web. Developers. Web developers are the people who create content for the web. They can be designers, coders, authors, and others, including developers with disabilities, and can even be users who contribute content, such as someone who posts a comment or uploads an image. Authoring tools. This is software that helps developers create websites. Evaluation tools. These include web accessibility checkers and evaluation tools, HTML and WCAG validators, CSS validators, etc. You may not have control over all the components listed above. You certainly can’t decide whether a visitor to your website will use a computer or a mobile device. You can’t select their favorite browser for them. And you can’t determine their individual level of comfort or experience using the Internet. But you are in control of your own website and the services you provide. You have the power to dictate just how welcoming your corner of the web will be to people with disabilities. Thus, anyone who serves, informs, entertains or sells to customers online has an important role to play in making the web fully accessible. There are many ways to make your website accessible. Ideally, you should be taking these principles into consideration to ensure that the needs of everyone – not just people without disabilities, and not just people with certain kinds of disabilities – are met. Alternative text. Written descriptions (“alternative text”) should be available for images, graphics and logos. That way, people who use a screen reader will know what’s on your website. Online forms.. Ensure these are accessible with features such as labels for any drop-down lists or check boxes with text, and easy navigation with a keyboard. Organized pages. Web pages should include headings and lists, for instance, to make it easier for people to make their way around the site, especially if they’re using assistive technology. Captioned media. Videos, audio files and other sound files should be captioned or transcribed for people who are not able to hear them. Hyperlinks. When hypertext links are included, the text should be self-explanatory, even if it’s read out of context (someone might, for instance, skip from link to link without reading anything else on the page). The links should also be clickable using the keyboard, not just a mouse. Special content. When PDF or Word documents, Adobe Flash animations or PowerPoint presentations are included on your website, you must ensure they have been converted into accessible formats. Color. Don’t use color to communicate information. (You shouldn’t, for example, use a red font to show which of your products are the hottest sellers.) You should also adhere to the accepted standard for color contrast so people with vision disabilities don’t have trouble distinguishing the text on your site. Effective writing. The writing on your website should be clear, and your message should be easy to understand. Assistive technology made available. To give a customer with a disability an inclusive digital experience, organizations should consider offering free assistive technology on their websites. With the technology, customers who have physical disabilities, like cerebral palsy, multiple sclerosis, paralysis, stroke, arthritis and others, can navigate the web or use their mobile device hands free. 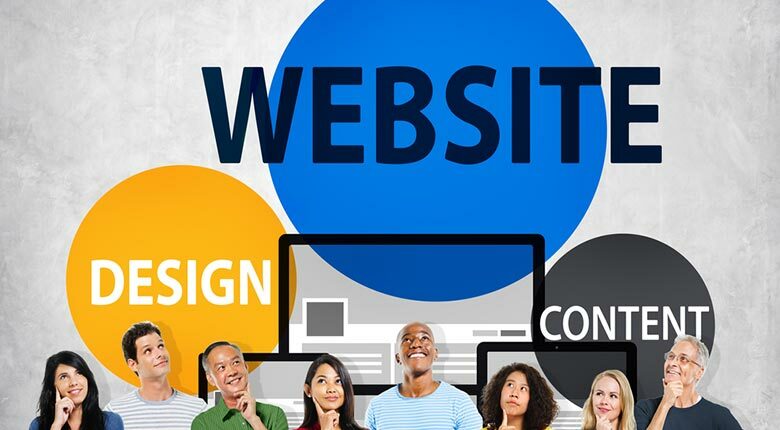 The list above is not exhaustive, but it does demonstrate some of the important considerations when it comes to making your website as accessible as it can be. When organizations implement all the critical factors, they provide a truly inclusive digital experience for their customers with disabilities. You can download our Jargon Free Guide to Web Accessibility whitepaper to learn more about it. The web accessibility compliance landscape is kept in check by guidelines, legislation and regulations. This means there’s a lot of information and expertise available to facilitate web accessibility. But it also means there are laws that organizations may be compelled to follow. Compliance ensures that both technical and functional specifications, WAI guidelines, web accessibility tools, authoring tools and evaluation tools are used by web developers, authors and coders to build accessible websites. Let’s look at a few regulations, standards and legal guidelines surrounding web accessibility to find out what they mean, where they take effect and how to ensure your website is compliant. WCAG. The Web Content Accessibility Guidelines (WCAG), produced by the W3C Web Accessibility Initiative, are universally accepted and adopted technical guidelines for ensuring web accessibility. The most up-to-date guidelines – the ones to follow if you want to be confident your website is inclusive – are called WCAG 2.0. ADA. The Americans with Disabilities Act (ADA) is a far-reaching law that prohibits discrimination against any person with a disability in the United States. It applies to the work force, schools, and public or private organizations serving the public such as hotels, restaurants and theaters. By law, their communications and technologies must be accessible to people with disabilities. The Rehab Act, Sections 508 and 504. The Rehabilitation Act prevents discrimination against people with disabilities. Section 504 requires the federal government and any departments, programs, organizations or businesses that receive funding or contracts from the federal government, including schools, to be fully accessible. Section 508, “Standards for Electronic and Information Technology,” sets out specific accessibility standards for websites that must be followed in order for covered entities to be in compliance. AODA. The Accessibility for Ontarians with Disabilities Act (AODA) is a law that applies to government, businesses and organizations in the province of Ontario. It includes the development of accessibility standards that must be followed, and a time frame for compliance. ACAA. The Air Carrier Access Act (ACAA) makes it illegal discriminate against airline customers with disabilities. It applies to air transportation into, out of or within the U.S., whether or not the air carriers are American. Phase II of ACAA, which rules that all web pages on an airline’s website must be accessible, went into effect in December, 2016. CVAA. The Twenty-First Century Communications and Video Accessibility Act (CVAA) became law in 2010. The purpose of the CVAA is to update older legislation and ensure that digital, mobile and other modern technologies are taken into account when it comes to accessibility requirements. People with disabilities are the largest minority group in the world. There is over a billion people around the world who have some form of disability,3 and 1 in 5 people self-identify as having a disability. Yet, many organizations view accessibility as a chore rather than an opportunity. Thus, leaving many digital marketers in the dark about the benefits of inclusive digital assets. Investing in disability and completing the web accessibility checklist has its fair share of returns. That’s a fact. Firstly, organizations have the opportunity to enhance the digital customer experience for the largest minority group around the world. Research shows that 86% of buyers will pay more for a better customer experience, and the statistic is just as relevant for people with disabilities.4 When it comes to disability, making a website accessible goes a long way in achieving that goal. Secondly, by enhancing the customer experience, and making the website easy to use for people with disabilities, companies can begin to build a disability-friendly brand presence, which results in brand loyalty and repeat business from the disability market segment. It should go without saying, that offering an inclusive web accessibility solution to customers with disabilities, by integrating a suite of assistive technologies alongside accessibility compliance, will enhance the digital customer experience. In return, an organization can expect to create an inclusive digital presence and make its brand accessible to all. eSSENTIAL ACCESSIBILITY has developed a comprehensive web accessibility solution to help organizations follow the Web Content Accessibility Guidelines (WCAG) and achieve and maintain compliance with standards and regulations. This includes integrating web accessibility evaluation services with assistive technology to deliver a transformative experience for people with disabilities. Learn more about eSSENTIAL ACCESSIBILITY’s innovative solution. Internet Stats & Facts for 2016. HostingFacts.com. Disability and health fact sheet. World Health Organization November 2016. Andy Beal. 86% of buyers will pay more for a better customer experience. Marketing Pilgrim July 31, 2014.